The handwritten notes which saved the lives of the astronauts on the Apollo 13 mission are set to fetch £60,000 at auction. 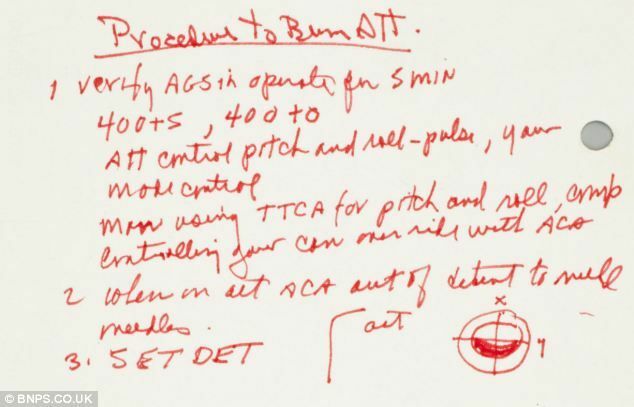 The notes, made famous by the hit 1995 film starring Tom Hanks, were used by Commander Jim Lovell to work out how to perform a vital 'burn' on the way back to Earth. The sheet, which contains Commander Lovell's hand-written notes, is being sold by Mr Haise, who is now 79-years-old and living in Florida. The note is being sold by Bonhams in New York on March 25. If Commander Lovell had got the sums wrong then it is likely that he and his fellow astronauts, Fred Haise and Jack Swigert, would have perished in space. The world was said to have held its breath after Apollo 13 suffered an explosion on its way to the Moon in April 1970.